Parchment is a great choice for situations where maximum light is needed, for instance on a reading lamp, as it lets plenty of light through the shade. 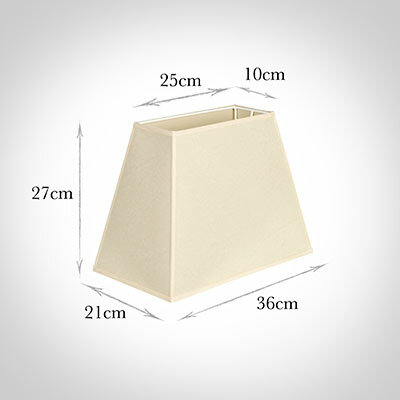 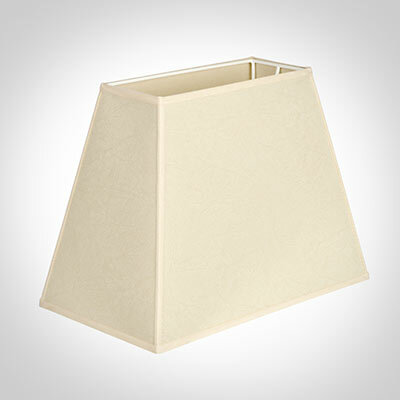 We make this stylish, sloped rectangular shade to fit a lamp base. It is made by hand in our Suffolk workshop by one of our skilled shade makers in this beautiful fabric.